Last night I finished up Kingdom Hearts: Final Mix on proud mode live on the stream. It was just as epic as I remember it. The confrontation with "Ansem" was just as cool as the first time I fought against him. I have to say, that when a game throws in three final bosses in a row like Kingdom Hearts does, it gets the blood pumping. Here are my final thoughts about the HD version of the game. 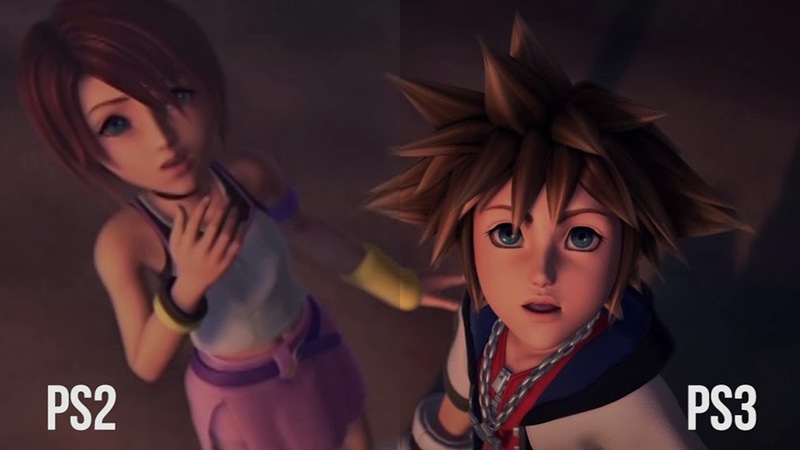 So what do I think about the 1.5 HD Remix version of Kingdom Hearts? Well, it is really great to have a true widescreen version of the game finally, most of the textures have scaled up pretty well, and the cg cutscenes look glorious in HD. I found a cool bug where enemies became invisible, which I have not encountered in Kingdom Hearts before, but except for that it runs well while looking great. Especially when you take into account that the game is 12 years old. So all in all, Kingdom Hearts 1.5 HD Remix is a great version of the game to play. it looks crisp and feels very much like a modern action rpg should. If you missed the finale on the Gamigon Live Stream last night, you may look up the archived footage at: twitch.tv/gamigonlive. Also check out the final boss highlight below : ). Want to buy Kingdom Hearts HD Remix 1.5 fo the PlayStation 3? You can do that on the Gamigon Live! Game Store for only 29.99$! Buying it, will support Gamigon Live 's stream and blog, while you will get a game. Powered by Amazon.